Cardiology is the branch of internal medicine dealing with disorders of the heart and blood vessels. The field is commonly divided in the branches of congenital heart defects, coronary artery disease, heart failure, valvular heart disease and electrophysiology. Cardiology - What is Cardiology? Researchers at University of California San Diego School of Medicine found that using blood thinners in patients with worsening heart failure, coronary artery disease or irregular heart rhythms was associated with a 17 percent reduced risk of thromboembolic events, such as stroke and heart attack. A new study has shown that with the advent of computers and screens, Americans are sitting more than they did before. There are several studies in the past that show the association between sitting for prolonged periods and bad health. A new study suggests that engaging in physical activity for 20 to 40 minutes a day could offset the mortality risks associated with sitting down all day. Once the heart is fully formed, the cells that make up heart muscle, known as cardiomyocytes, have very limited ability to reproduce themselves. After a heart attack, cardiomyocytes die off; unable to make new ones, the heart instead forms scar tissue. Over time, this can set people up for heart failure. Preschoolers in an underserved community who took part in a health promotion educational program aimed at establishing health behaviors showed a 2.2-fold increase in knowledge, attitudes and habits compared to their classmates who did not take part in the program, according to a study published today in the Journal of the American College of Cardiology. Plant-based diets are associated with a lower risk of heart failure in adults without known heart disease, while Southern diets consisting of more fried and processed foods and sweetened drinks are associated with greater risk, according to a study published in the Journal of the American College of Cardiology that looked at the association between five dietary patterns and risk of heart failure. For less active adults, the amount of time spent sitting may be associated with an increased risk of death; however, increasing physical activity to recommended levels may eliminate this association in some, according to a study published today in the annual cardiovascular health promotion issue of the Journal of the American College of Cardiology. Integrating artificial intelligence to analyze imaging data allows early recognition of heart disease, saving patients' time, money and, most importantly, lives. 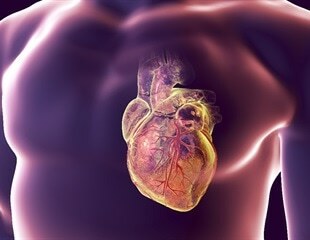 Researchers from Tel Aviv University have engineered the world’s first perfectly functioning, immunologically, cellular, biochemically and anatomically matched 3D printed heart. The "Stroke Belt" refers to the swath of states in the Southeast where rates of stroke death are high, and according to the Department of Health and Environmental Control, South Carolina comes in at number six for the nation's highest rates of stroke death. The link between brain dysfunction and advanced kidney disease was first noted in 1930, so it is not a new finding. Recent advances in the development of cancer therapies have increased long-term survival and prognosis. Novel studies from around the world showing cutting-edge clinical use of cardiovascular magnetic resonance will be presented at EuroCMR 2019, a meeting of the European Association of Cardiovascular Imaging, a branch of the European Society of Cardiology. Dr. Sunita Sah practiced general medicine for several years in the United Kingdom's National Health Service. When she came to the United States, she noticed something strange. The full financial cost of a heart attack or stroke is twice as much as the medical costs when lost work time for patients and caregivers is included.